1. Understand that once you call your insurance company and an inspection has taken place, a “CLAIM” has been made against your policy regardless of the amount of damage or lack thereof. This could affect your premiums in a negative way. We suggest contacting a storm damage professional prior to contacting your insurance company. ALL OKLAHOMA ROOFING AND CONSTRUCTION offers FREE inspections to take the guesswork out of whether you should contact your insurance company or not. A professional who has been or still is a licensed insurance adjuster and has worked in the insurance industry will inspect for potential damages. The professional will look for hail damage, wind damage, water damage and debris damage to the entirety of your home and other structures. We can then give you an overview of the damage and advice on whether or not to contact your insurance company to file a claim. Should you have damage, we can provide you with a FREE upfront estimate of cost of repairs. 2. It is important to know your deductible and how it applies when you have a claim. Our specialist	can explain to you how your deductible will apply and if it will be beneficial to make a claim given the amount of damage and the applicable deductible. It is important to note that sometimes special deductibles apply (e.g. 2% deductible for wind/hail damage to roof surface). 3. Depreciation applies to damage based on age and condition of the damaged item prior to the storm damage that occurred. Depreciation can be either recoverable or non-recoverable based on the coverage found in your policy and any applicable amendatory endorsements applied to the policy. It is common, especially with many older roofs, that a non-recoverable depreciation endorsement has been applied to the policy. The insurance company applies this endorsement to the policy when the roof reaches a certain age or is found to be in poor condition. The insurance company usually notifies the homeowner by mail which looks like “junk mail”, so many times the homeowner is unaware that this endorsement has been applied to their policy. This can mean thousands of dollars of out-of- pocket expenses for the homeowner depending on the age of the roof. Our specialist can make sure that depreciation has been applied fairly and correctly to any claim which can save the homeowner thousands of dollars. 4. Some damage is obvious and can be seen easily even by the untrained eye, but some damage can be much less obvious. 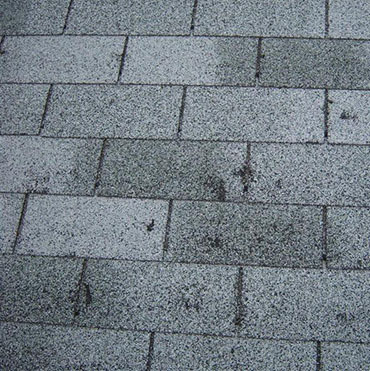 It is common for hail and wind damage to the roof to not be visible from the ground. For example, the wind can lift shingles and then lay them back down, so there does not appear to be any damage, but the tar seal has been broken which may or may not reseal. 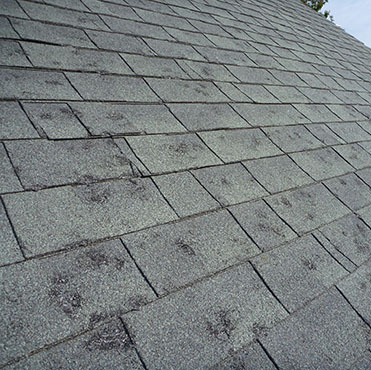 If the shingle does not reseal, it leaves the potential for it to be removed during future storms or allow debris to accumulate under the shingle over time. The wind may also pull the shingle off the nails causing the shingles to slide down in damaged areas over time. If you feel that there could be significant damage, it is best to have our specialist provide you with a FREE inspection. 5. Our team of insurance specialists and contractors can handle your entire claim from beginning to end. We will work with your insurance company to make sure that you are treated fairly and receive proper payment based on your policy and the covered damages. We will make sure that all damages are accounted for and not overlooked. We are well equipped and more than happy to handle negotiations with your insurance company. Having your home and personal property damaged by a storm is never pleasant. It is our mission to use our expertise to make the insurance claim process as easy for you as possible. Please give us a call 405-413- 0251.